The expression BRIC countries was first used in a report of Goldman Sachs in 2001 to indicate the countries Brazil, Russia, India and China, which were destined to dominate the world economy by 2050. 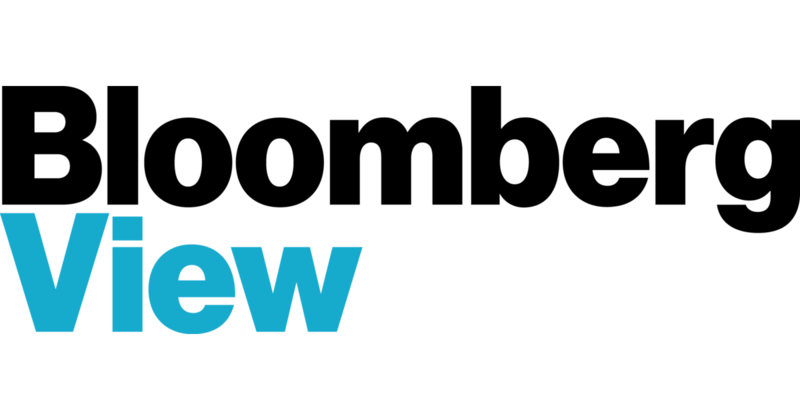 The BRIC were originally grouped with respect to the similar perspectives of rapid and above-world-average growth of their Gross Domestic Product (GDP). Fourteen years later, their growth outlooks are very different. A careful analysis of the export of Brazil and Russia (BR) would have highlighted the different development paths of BR with respect to India and China (IC) 10 years in advance. Only the latter are undergoing an industrial and technological development and in general increased complexity of their economy in the last 15 years. While for Russia, even standard analyses clearly spot a growth strongly relying on the primary sector, the future growth perspectives of Brazil are now hardly debated and only in the last few years some reports considered the scenario in which Brazil may not be able to maintain the present high rate of GDP growth in the future due to its dependence on the primary sector. 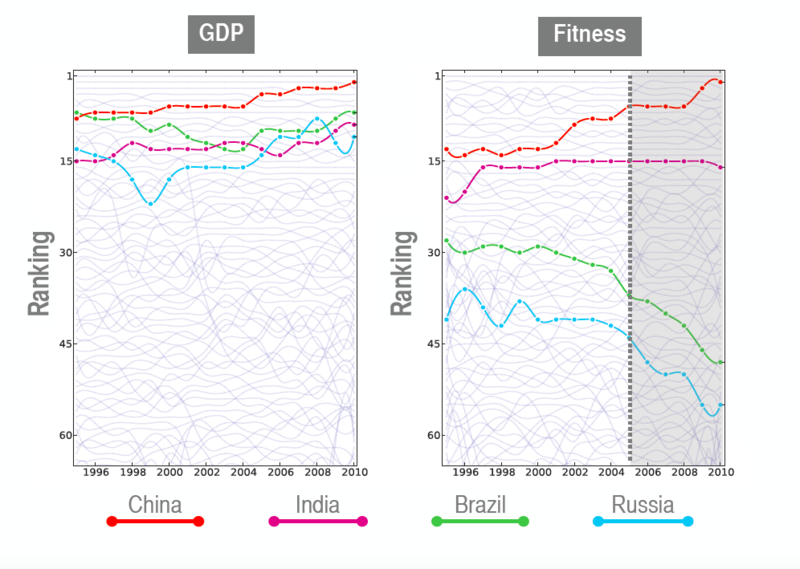 The most valuable information emerging from our fitness analysis is the evolution of the Brazilian competitiveness because of very different behavior with respect to monetary information. Brazil’s competitiveness shows a behavior similar to Russia’s. Our metrics points out that Brazil is not increasing the complexity of its productive systems; it is mainly fueling its growth through raw material and in general the export of primary products.